As a developer of mobile and front-end web applications at ELCA, you will be working on challenging projects for a wide range of customers, on the most innovative technologies for iOS and Android devices. You will be responsible for building attractive, efficient, and responsive applications for tablets and smartphones. Building on your experience, you will also participate in the preparation of commercial proposals and other customer-facing activities. Exciting projects and challenging problems to solve using the latest technologies. You hold a degree in Computer Science, Information and Communications Technology or Software Engineering, and already have a proven experience of more than 2-3 years in the design and development of web front-end and mobile applications. You are passionate about user interfaces, web design, information architecture, and application performance. You have strong skills in software engineering, design patterns, coding, and testing. The software ecosystem for at least one of the main mobile platforms we are targeting: iOS, Android. Knowing both is a plus. Mobile & Front-end application development frameworks such as Swift, Objective C, Java for Android, Xamarin, Flutter, React Native, AngularJS, ReactJS, Cordova, JQuery mobile, DevExtrem, Appcelerator, Xamarin or others. Web application security: OWASP and ESAPI. Automated testing and continuous integration. A knowledge of other development platforms (JEE, .NET, PHP) is certainly a plus. You should also be comfortable working both with agile (Scrum) and structured methodologies, have good time-management skills and be able to accurately report progress on projects. Technical excellence, flexibility, a strong team spirit, as well as good spoken and written communication skills in French and English are essential. 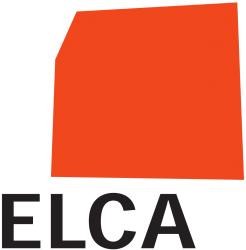 With more than 650 men and women working as highly qualified engineers and over 800 employees in total, ELCA is the leading independent IT service provider in Switzerland, serving a broad customer base both in the SME and the corporate customer segment.